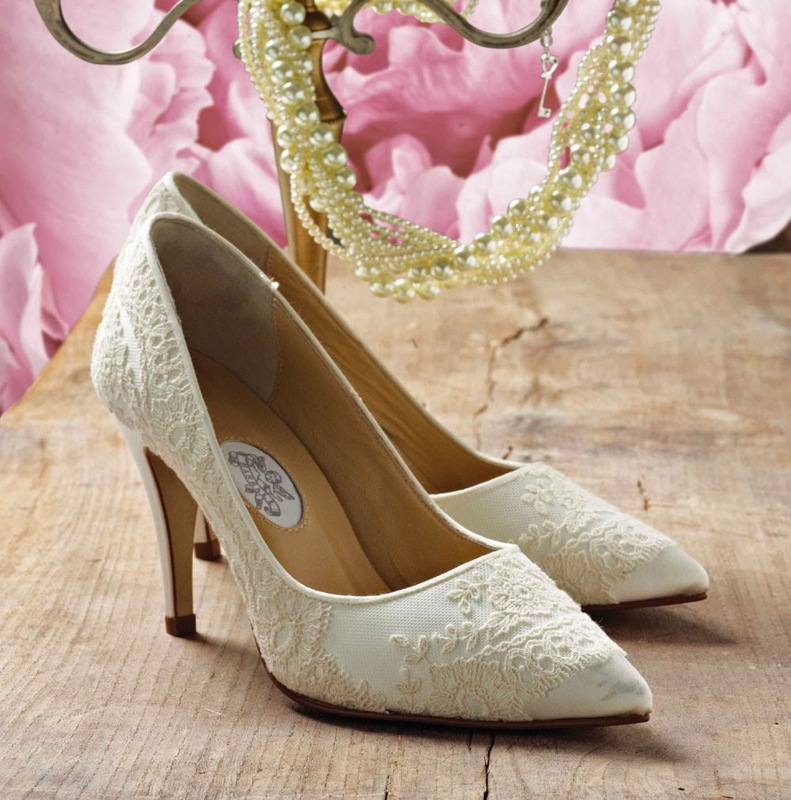 The number one style this season has to be the peep toe ivory wedding shoes which have been a well known high street trend. 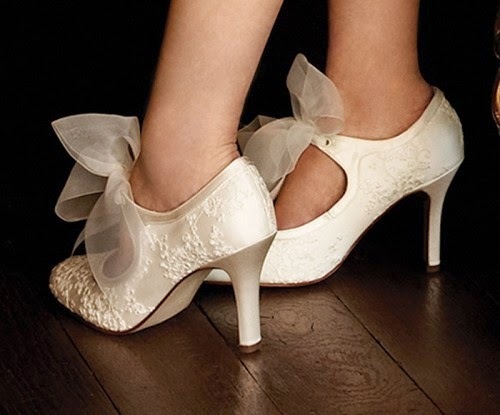 Now the peep toe has been revamped in silk and satins and made into the wedding shoe to be seen in this year. Our recommendations for the best peep toes are Rainbow Couture's Santi and Hassall's Sweet Briar. 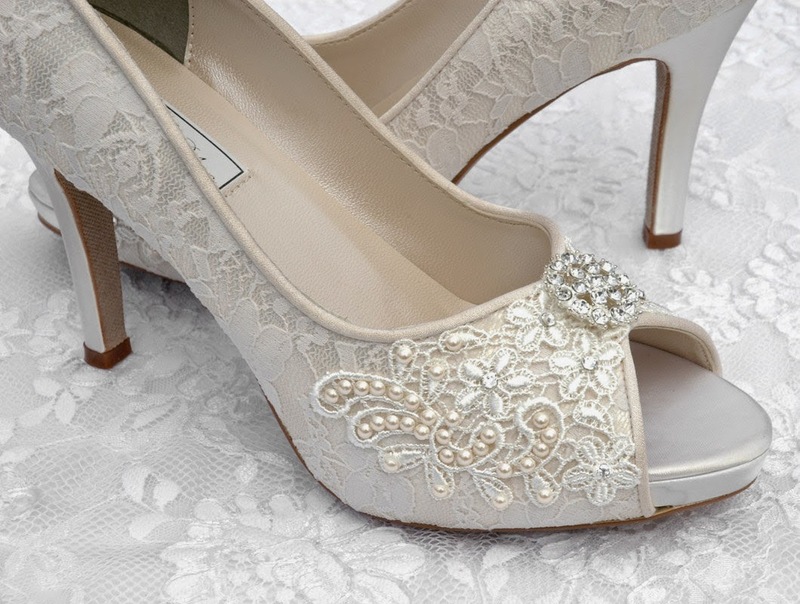 These stunning designs are now available in ivory satin but silk seems to be a favourite choice with modern brides, with the cost not being so out of the question brides can know afford a separate budget for their ivory wedding shoes and with most wedding shoe designers keeping the cost of silk shoes to a minimum has made silk very affordable. 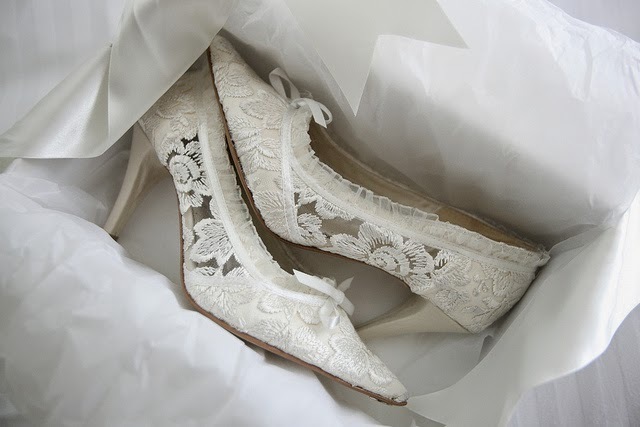 One problem brides have faced in the past with ivory wedding shoes is water marks caused by rain and puddles especially if you have a winter wedding or garden wedding. One of the most well known wedding shoe companies has now illuminated this problem with a waterproofing service that has never been available before. This waterproofing system applies a finish to the ivory wedding shoes which gives the silk or satin a leather like resistance to water allowing you to keep your cherished ivory wedding shoes in perfect condition. 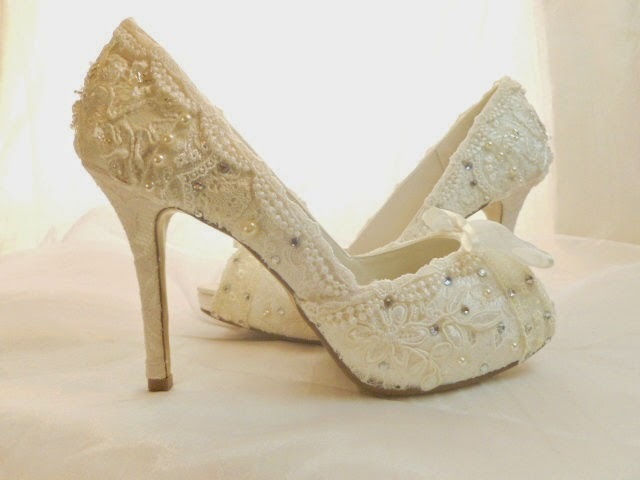 This service is available on Rainbow Club wedding shoes only.